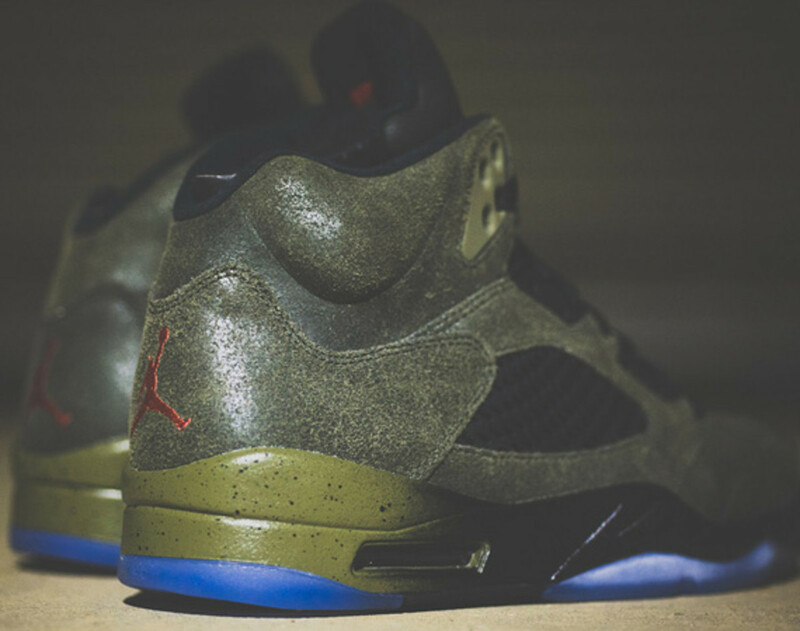 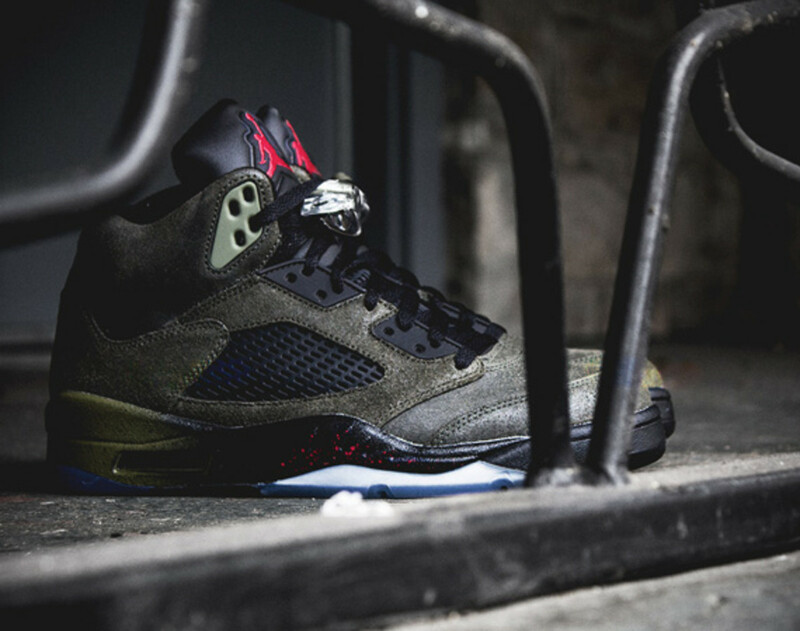 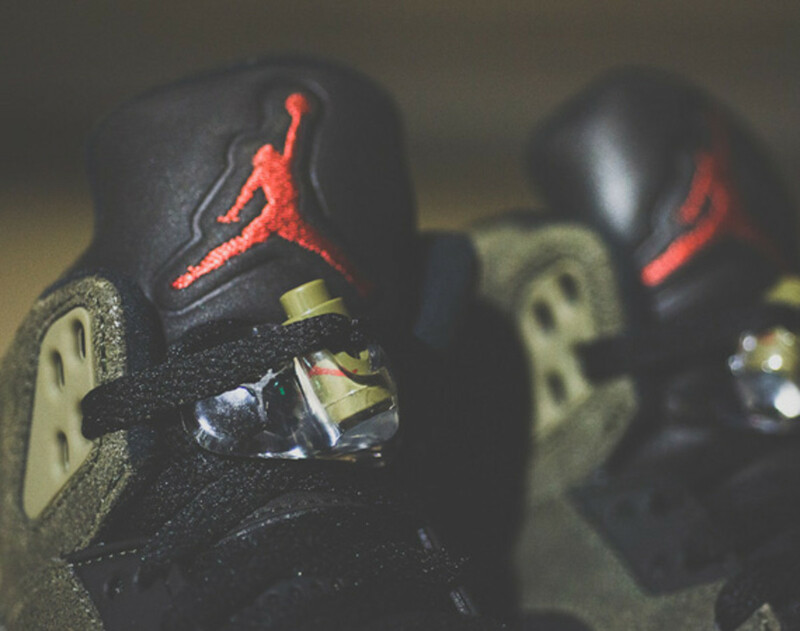 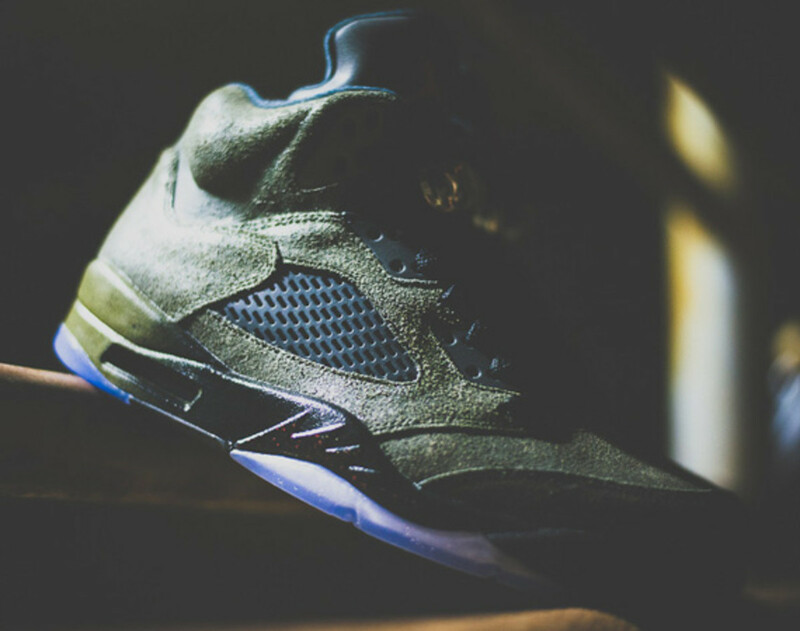 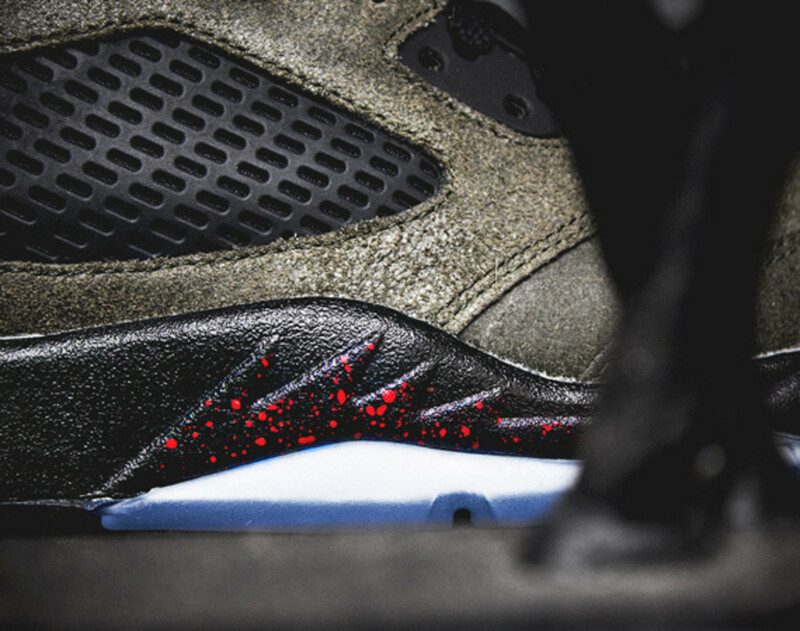 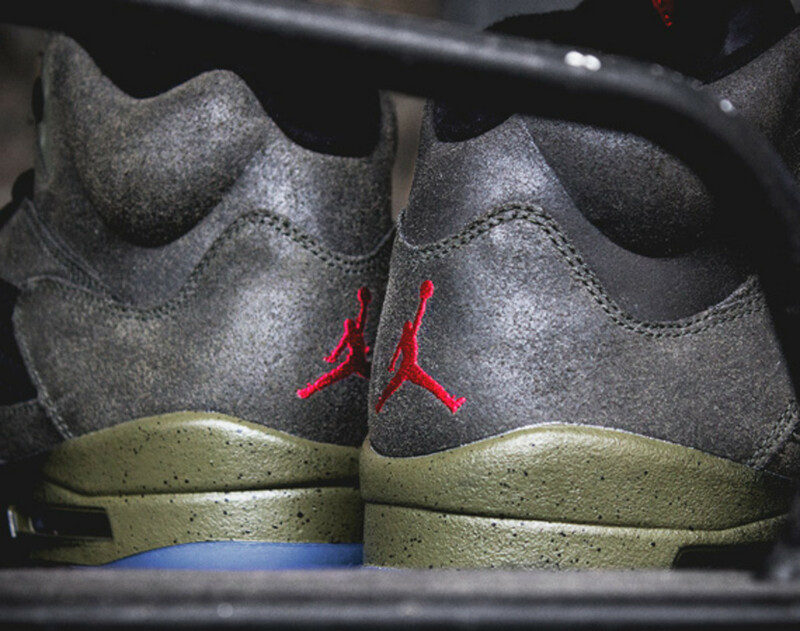 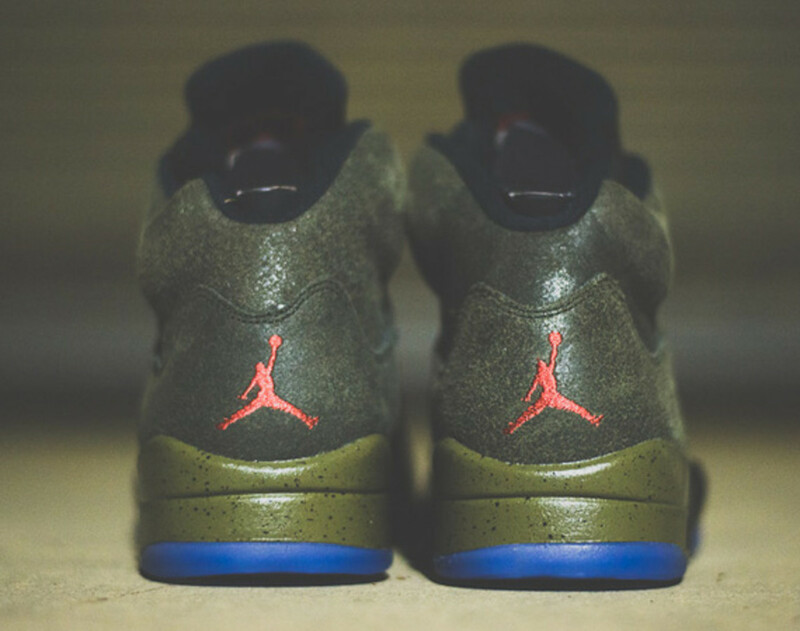 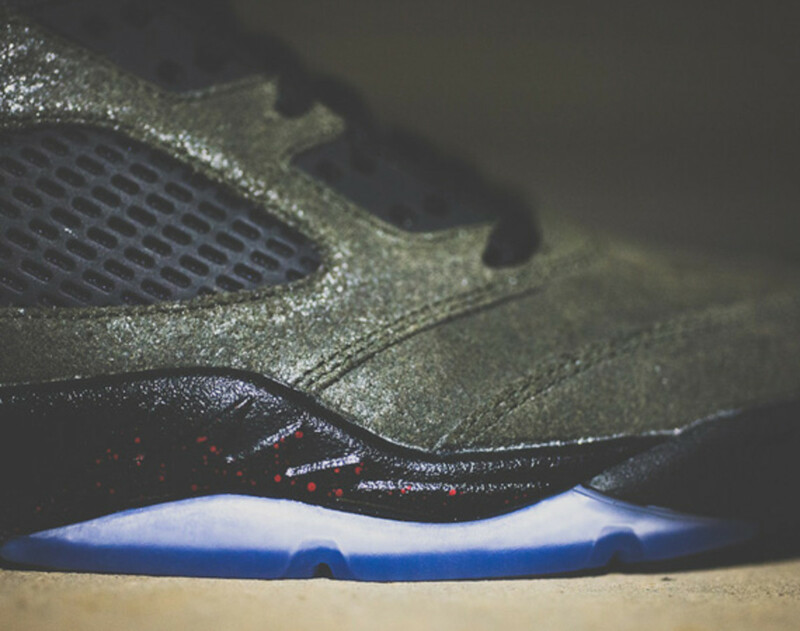 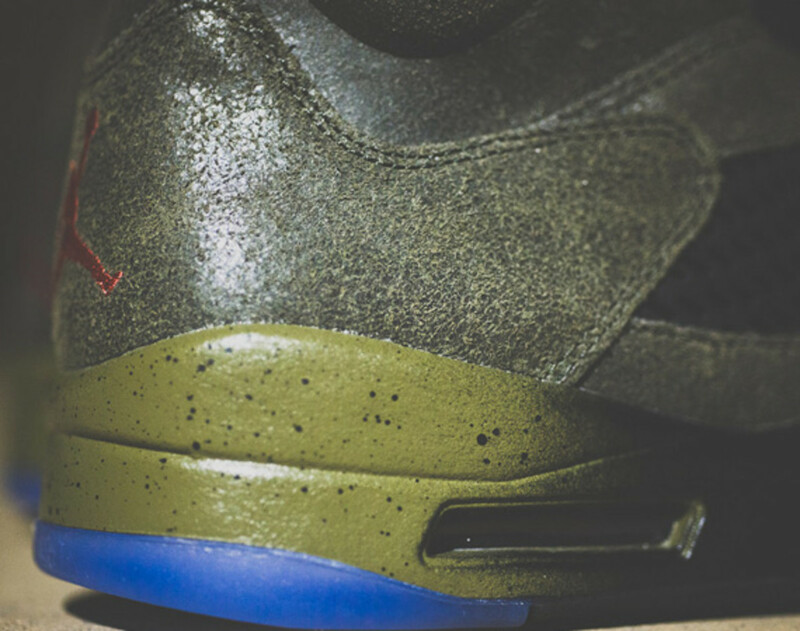 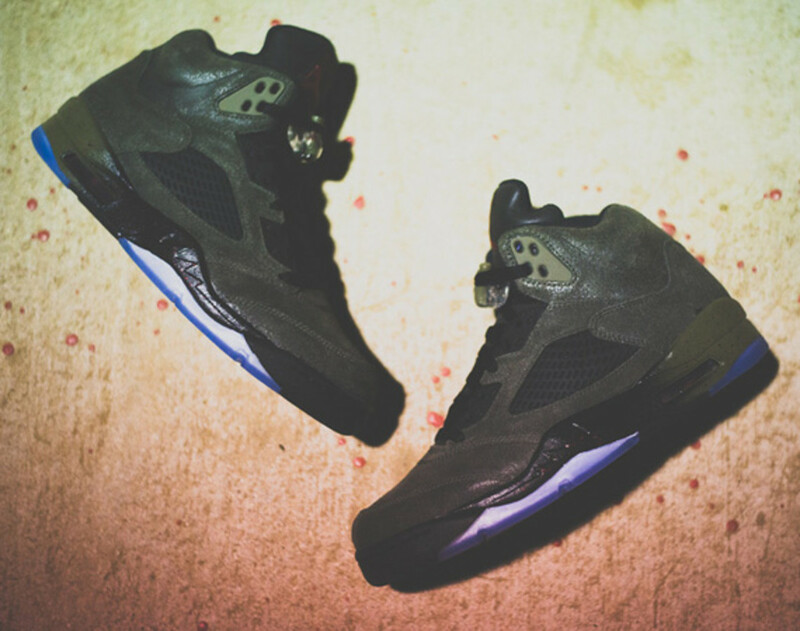 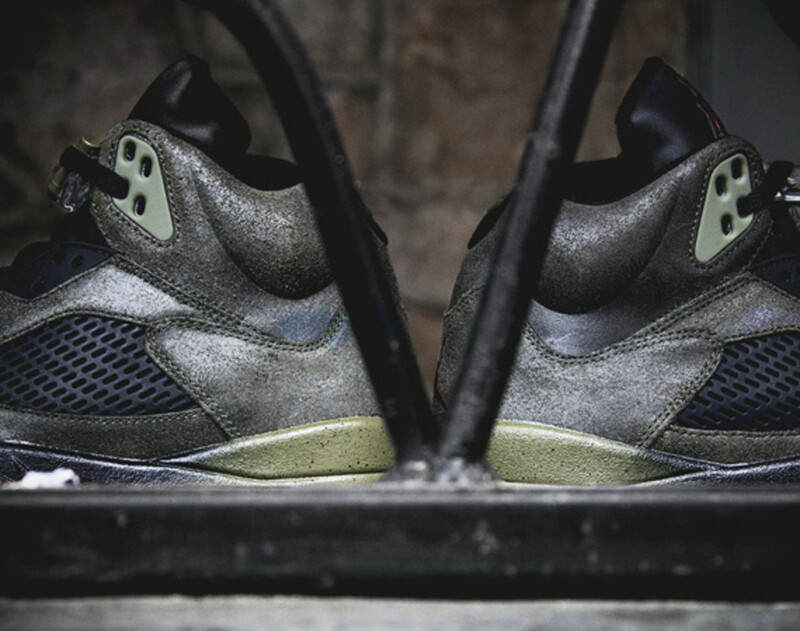 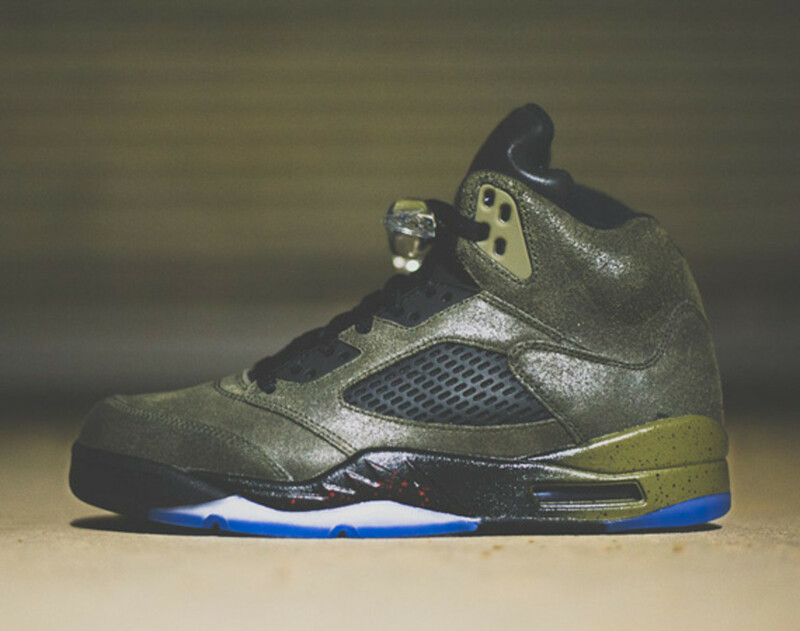 Any fans of Jordan Brand will be the first to tell you that they aren’t concern of the ghoulish green colorway found on the upcoming Air Jordan V Retro “Fear.” In fact, they rather like the mysterious color palette, a cross between primordial ooze, peat moss, and trailing from the Swamp Thing. 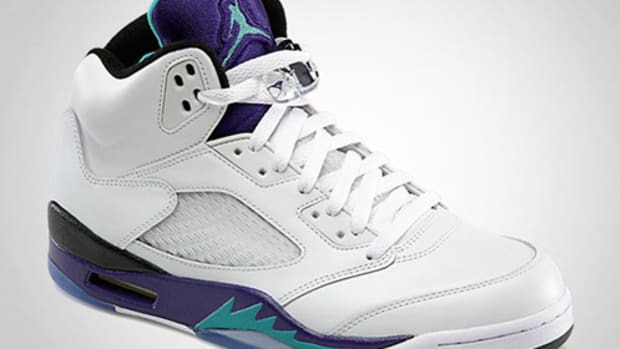 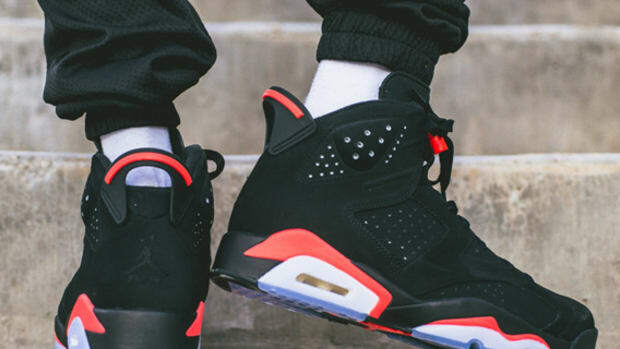 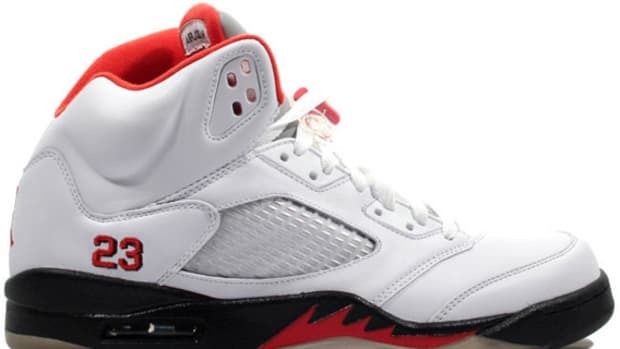 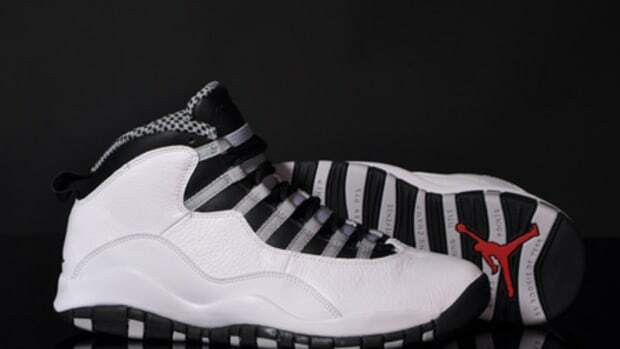 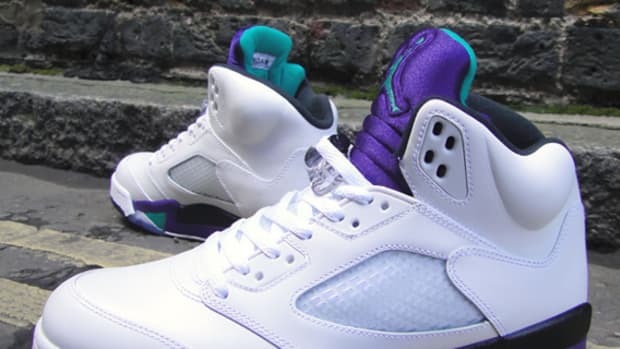 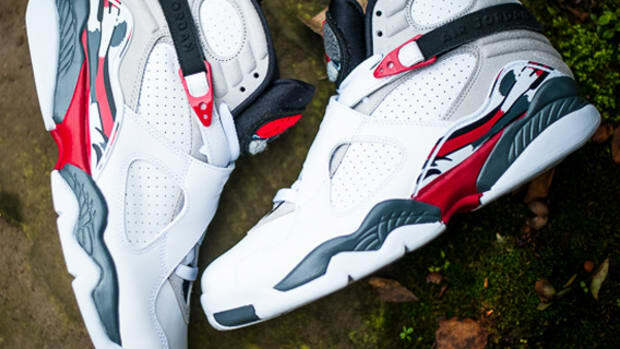 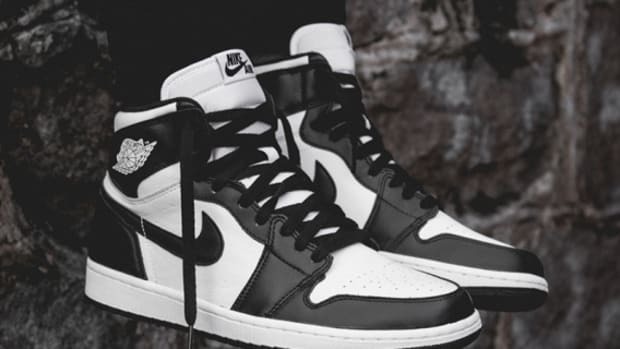 What they’re fearful of, however, is its availability come this Saturday during its launch. 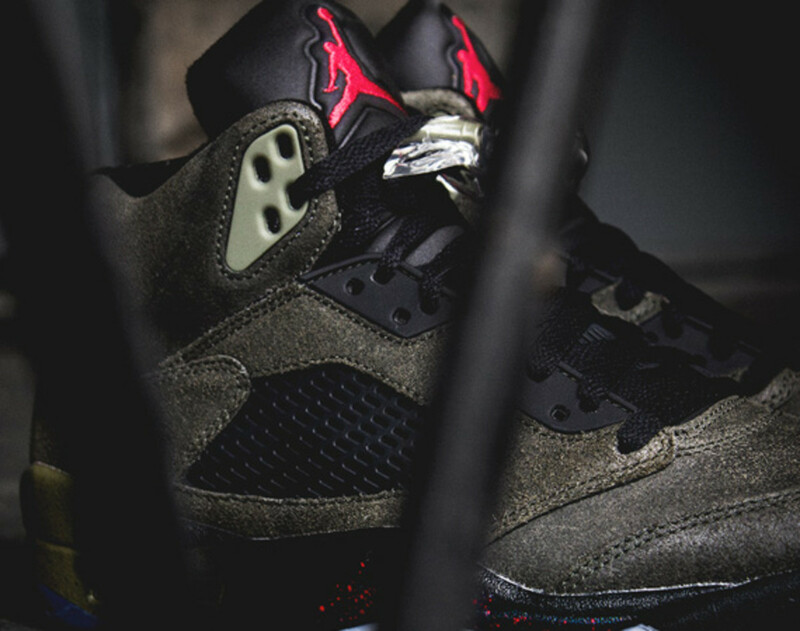 Made with hairy suede upper in “Dark Sequoia” and “Medium Olive” color scheme, hints of black, royal blue, and fire red speckles accentuate the design further. 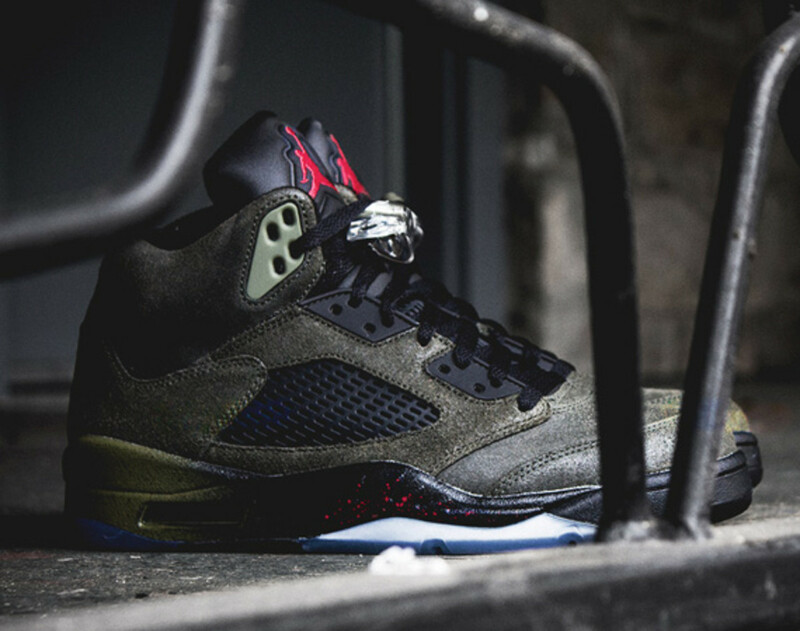 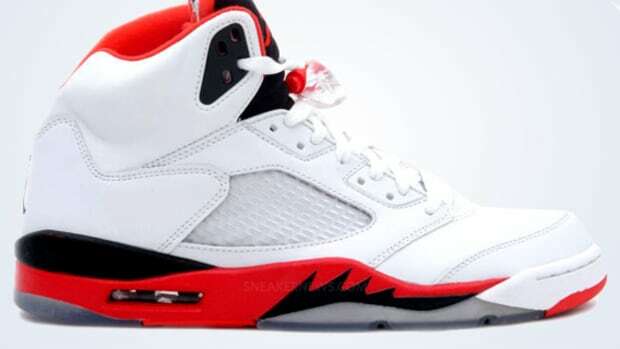 Part of the “Fear” Pack trio, the Air Jordan V Retro “Fear” will be available through select Jordan Brand retailers this coming weekend, including WISH of Atlanta and Sneaker Politics across Louisiana.